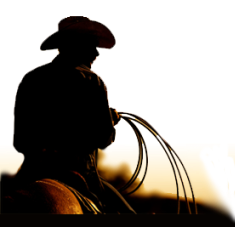 The Board of Directors is the policy making body of the BC Cattlemen's Association. All of the position statements below have been adopted by the Board of Directors as policy. For more information about any of the policies listed, please contact the BCCA office P 250-573-3611 or [email protected]. Click here for the most recent, as well as an archive of BCCA Resolutions .that help guide the activities of the BC Cattlemen's Association. The BCCA Board of Directors revised and adopted this position on the Agricultural Land Reserve (ALR) in May 2010. Download the ALR Brochure which outlines the history of the ALR, and member survey results, position and recommendations . The BCCA Board of Directors adopted this position on Animal Waste Disposal Facilities in May 2008. The Board reviewed our policy in October 2009. It was unanimously re-adopted by the Board in October 2009. The BCCA Board of Directors revised and adopted this position on Ecological Goods & Services in June 12, 2008. The BCCA Board of Directors adopted this position statement on Water & the Beef Cattle Industry on February 4, 2010. Accompanying the position statement are 15 recommended actions.